Ours didn't turn out quite as picture perfect (mostly from my lazy piping), but Firecracker made the cupcakes on her own, and it only took about 5 minutes to frost them. We used our favorite 7-Minute Frosting (which really takes about 15 minutes to make) because we like how much lighter it is. It has plenty of sugar, but no fat since it's made from egg whites. 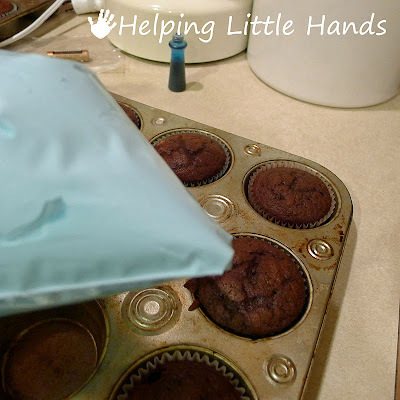 I have real piping bags and tips...but I'm usually lazy and just put the frosting in ziploc bags and snip off the tip. 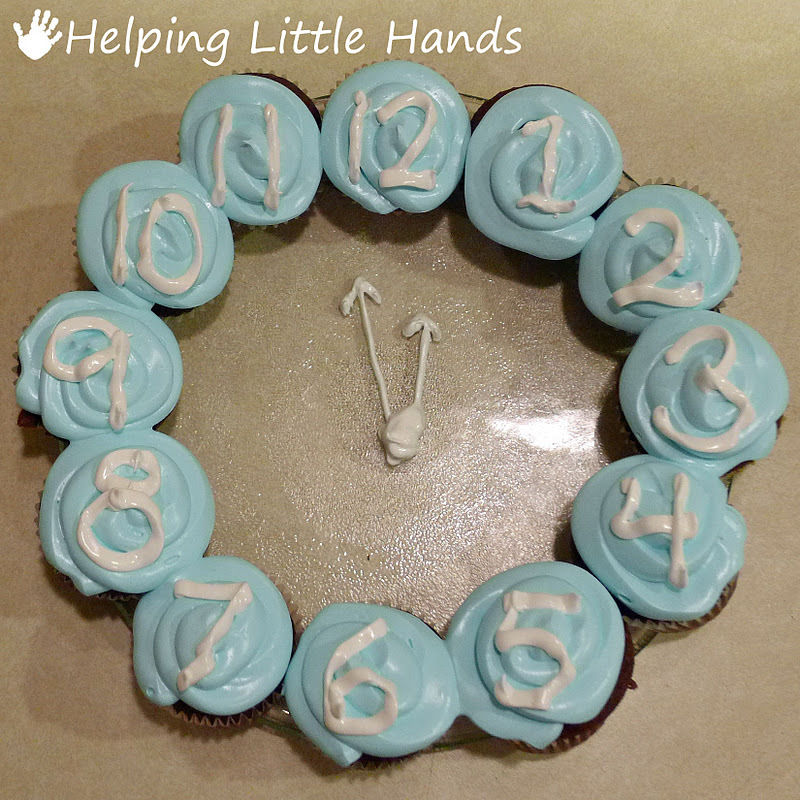 I pulled out a little of the frosting in a small ziploc baggie to do the numbers. 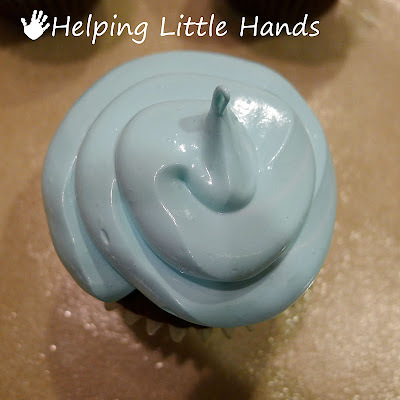 Then I colored the rest of it blue, put it in a large ziploc baggie, and piped the frosting on top of each cupcake. 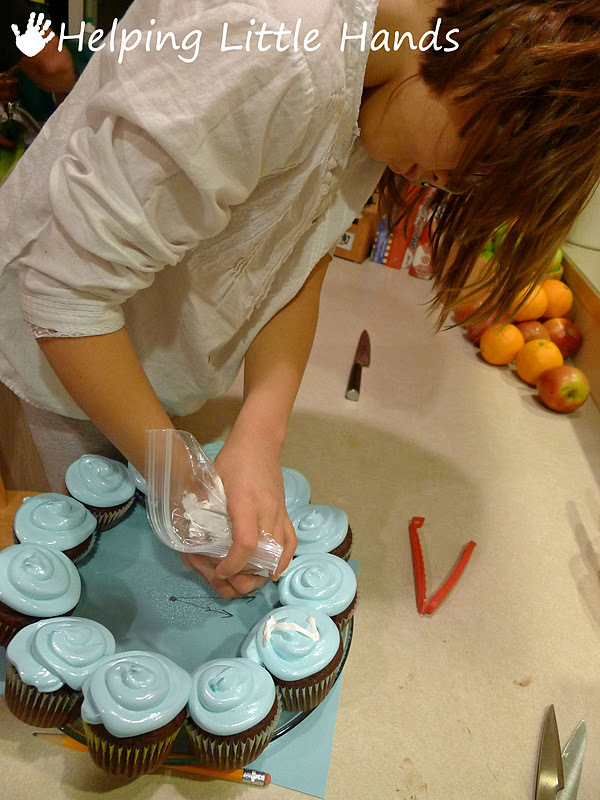 Seriously...easier than doing it with a knife and a lot less messy, and they look better. We arranged them in a circle around the plate, and Firecracker added the hands for the clock in the middle. Do yourself a favor though, and make the clock hands BEFORE you put your cupcakes around the edge. I drew the hands on paper first, and put it under the plate for her to trace. 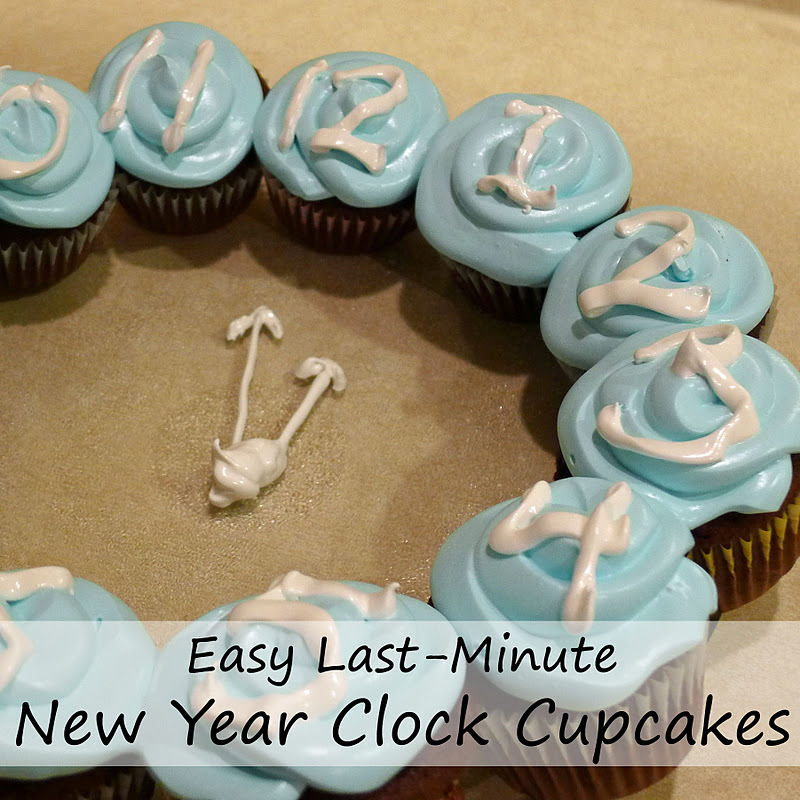 I know it's already New Year's Eve...but there's still time to make these. This countdown clock looks yummy!